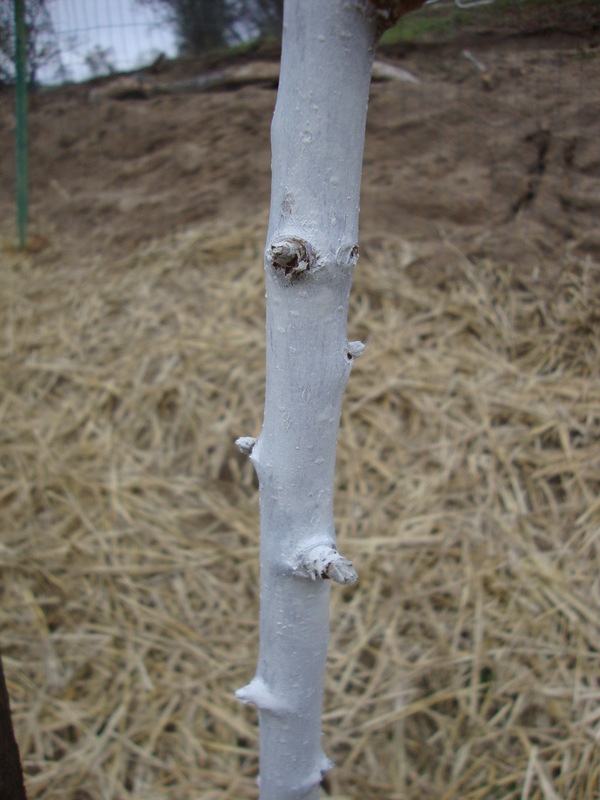 Protect Your Fruit Trees From Sunburn During The WINTER! 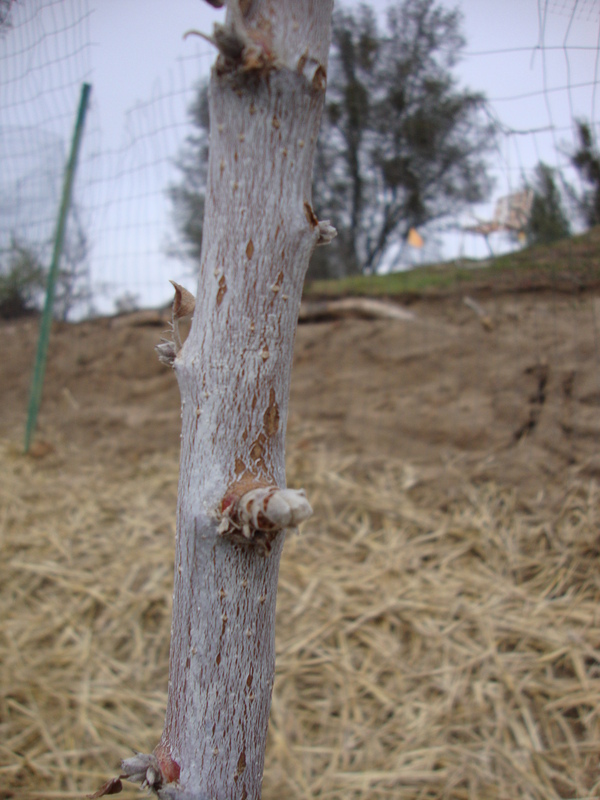 Turns out it is very important to protect your fruit trees from sunburn during the winter! One reason is the trees have no leaves or very few to protect it’s trunk from the sun. Secondly, California’s foothills are approximately 1,500 feet in elevation making it that much closer to the sun’s rays. This is the mixture I use on the trees at the Rita Alvarez Artist Retreat. 50/50 mixture of water and white latex paint. Super easy to do! This is how most of my trees looked before I started. They still had some paint left from when I painted them last year. You can see another year without fresh paint and the trunk would most likely suffer at least some cracking allowing insects and disease to penetrate the trees outer defense system. 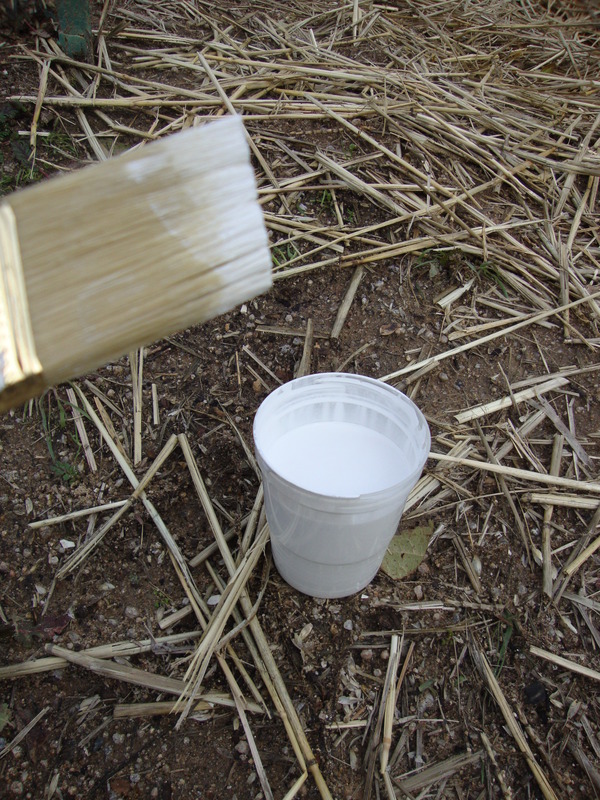 This is after I painted the tree with the 50/50 water, latex paint mixture. Here is an example of a fruit tree that has not been protected from the winter sun. The damage to the trees outer layer, it’s protective layer, makes it vulnerable to insects and disease. The best cure for disease is PREVENTION. So protect your trees and prevent or reduce the need for insecticides on your trees and eventually on your table! 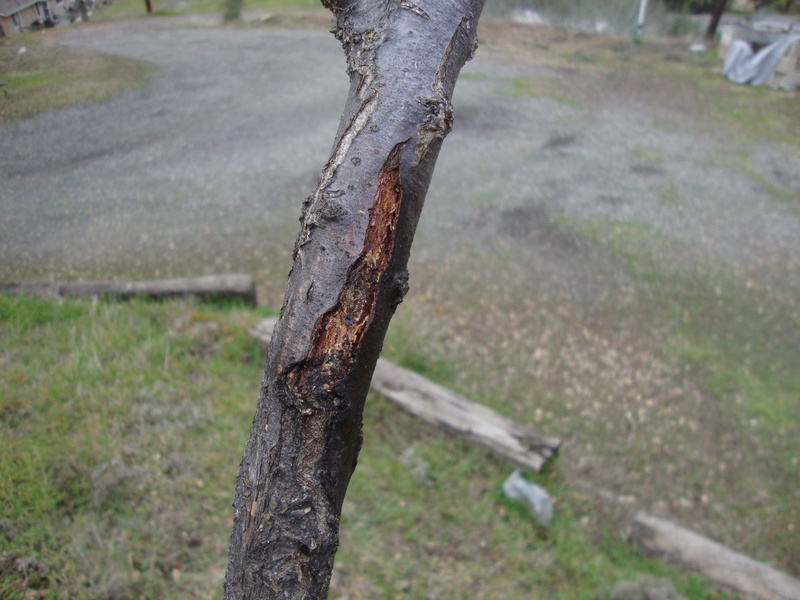 I would also like to mention the above process protects a tree from sunburn but not from rodents or rabbits that could eat around the tree’s root ball also causing a lot of damage to your tree. Therefore, adding a tree guard could also be very useful in raising healthy trees. Overall it was an exceptionally beautiful winter day hanging out in the orchard. The wildlife was busy, squawking, chirping, ravens zooming about in the sky… I’m so glad I didn’t miss it. What a day! I hope this post provides information and inspiration to anyone in need. If you would like to know more on how you can help this and other projects at the artist retreat please go to Retreat tab above or contact the artist. Thank you!